Hill Wood Imports and Exports ,the pioneering wood exporting company in kerala.Located in feroke , calicut, in kerala. Our business is exclusively exporting and importing wood. We are trusted all over the world by our valued customers.Our commitment to quality and timely delivery propelled our growth. 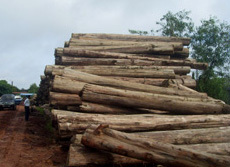 We are well experienced in timber logs and distribtion focused on dependable service and on filling the special needs of our overseas customers.We also caters to the requirements of customers in india too. Wood supplied by Hillwood is widely used in india and abroad for quality furniture,interior decoration and other constructions. Hill Wood Furniture is a company that continues to lead the industry in today's home & Office furnishings.